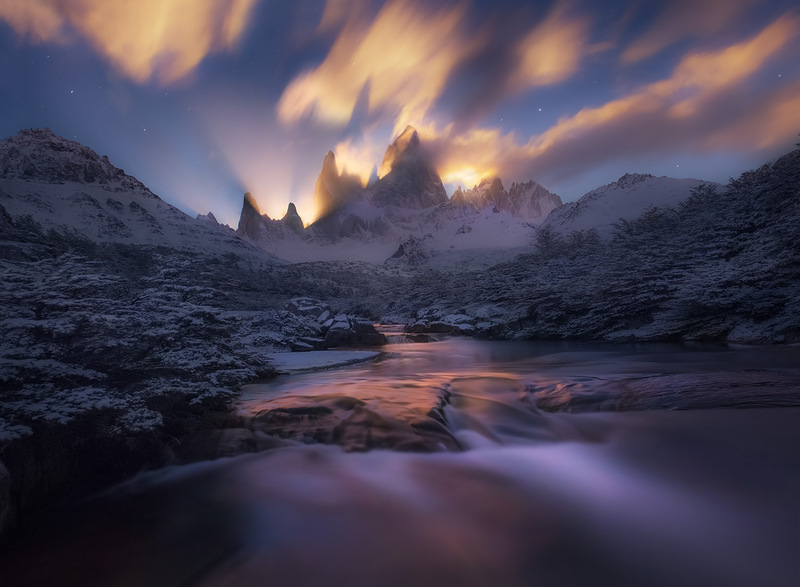 The beams of the moon light up the skies over a snowy landscape below the world's greatest mountain, Fitz Roy, in Argentina. . Photo © copyright by Marc Adamus.